**CALL FOR AVAILIBILITY 860-240-7406**, 17" Alloy Wheels, ABS brakes, AM/FM/CD Audio System w/Digital Clock, Rear Bumper Guard, Remote keyless entry. 2008 Mazda Mazda3 s Sport Copper Red Mica Clean CARFAX. FWD 5-Speed Automatic 2.3L 4-Cylinder SMPI DOHC ACT NOW! OUR INVENTORY SELLS FAST DO NOT WAIT! BUY WITH CONFIDENCE ONLY AT LIBERTY MAZDA! We offer Best Value Pricing - The easiest, informed way to buy a pre-owned vehicle. We researched similar vehicles within a 150 mile radius, and based on this vehicle's equipment, mileage and the current market conditions we give you the best value! Recent Arrival! 22/29 City/Highway MPG Awards: * 2008 KBB.com Top 10 Coolest New Cars Under $18,000 Our difference is the Key! 2014 Chevrolet Spark Grape Clean CARFAX. **HEATED SEATS**, **Hot Color**, **LEATHER**, **PRICED TO SELL**. Odometer is 22594 miles below market average! Awards: * 2014 IIHS Top Safety Pick * 2014 KBB.com 5-Year Cost to Own Awards * 2014 KBB.com 10 Tech-Savviest Cars Under $20,000 * 2014 KBB.com Brand Image Awards 30/39 City/Highway MPG Among the benefits of shopping for an used car, used truck, or used SUV with Executive Auto Group, customers can enjoy competitive prices, attentive service, and a sales staff that truly exudes integrity. In addition, if you’re unable to find the right used car for your needs, we’ll certainly help you find it! This is more than a sales pitch, we simply want to provide all of our customers with the same incredible service. Our Difference is the Key! 2013 Mazda Mazda3 Black CARFAX One-Owner. **New Brakes**, **Hot Color**, **6 SPEED**. Awards:* 2013 KBB.com 10 Coolest New Cars Under $18,000 * 2013 KBB.com 5-Year Cost to Own Awards Among the benefits of shopping for an used car, used truck, or used SUV with Executive Auto Group, customers can enjoy competitive prices, attentive service, and a sales staff that truly exudes integrity. In addition, if you're unable to find the right used car for your needs, we'll certainly help you find it! This is more than a sales pitch, we simply want to provide all of our customers with the same incredible service. Our Difference is the Key! gray Cloth. 2011 Hyundai Sonata GLS Radiant Silver Metallic 22/35 City/Highway MPG Awards: * Car and Driver 10 Best Cars * 2011 IIHS Top Safety Pick * 2011 KBB.com Top 10 Family Cars Car and Driver, January 2017. 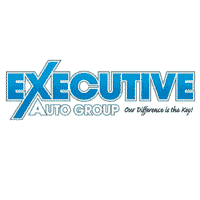 For more information on this vehicle, or any of our high quality,fully reconditioned,warranty backed, pre-owned or new vehicles, please visit us at www.executivekia.com. AWD. 2010 Nissan Rogue S Gotham Gray Metallic Odometer is 9042 miles below market average! 21/26 City/Highway MPG For more information on this vehicle, or any of our high quality,fully reconditioned,warranty backed, pre-owned or new vehicles, please visit us at www.executivekia.com. **CALL FOR AVAILIBILITY 860-240-7406**, *MOONROOF*, *LEATHER*, *BOSE*, *HEATED SEATS*, 3.7L 6-Cylinder DOHC 24V, 18" x 8" JJ Alloy Wheels, Memory seat, Rain sensing wipers. 2009 Mazda Mazda6 s Grand Touring Black Cherry Metallic CARFAX One-Owner. Clean CARFAX. FWD 6-Speed Sport Automatic with Overdrive and Manual Mode 3.7L 6-Cylinder DOHC 24V ACT NOW! OUR INVENTORY SELLS FAST DO NOT WAIT! BUY WITH CONFIDENCE ONLY AT LIBERTY MAZDA! We offer Best Value Pricing - The easiest, informed way to buy a pre-owned vehicle. We researched similar vehicles within a 150 mile radius, and based on this vehicle's equipment, mileage and the current market conditions we give you the best value! Recent Arrival! Our difference is the Key! 2011 Nissan Altima 2.5 SL Tuscan Sun Metallic *NAVIGATION*, *SUNROOF*, *HEATED SEATS*, *1 OWNER*, *BLUETOOTH*, *BACK UP CAMERA*, LEATHER, CVT with Xtronic. 23/32 City/Highway MPG Located at the all-new Acura of Berlin in the geographical center of CT, a short drive from MA, NY, RI, NJ, and VT. Our guests enjoy an exceptional shopping experience with our courteous, knowledgeable staff. Our accelerated sales process respects your time, and our transparent fair market pricing takes the hassle out of car shopping. Every vehicle is provided with the safety inspection and complimentary history reports. To make your life a little easier, we are even open Sundays for sales and service by appointment. **BLUETOOTH**, **USB**, Clean Carfax Certified!, CVT with Xtronic. 2013 Nissan Altima 2.5 S Cayenne Red Metallic Odometer is 9323 miles below market average! 27/38 City/Highway MPG Awards: * 2013 KBB.com 10 Best New Sedans Under $25,000 * 2013 KBB.com 10 Best Family Cars For more information on this vehicle, or any of our high quality,fully reconditioned,warranty backed, pre-owned or new vehicles, please visit us at www.executivekia.com. 2012 Honda Civic LX Crimson Pearl *BLUETOOTH*, **INCLUDES WARRANTY**, *CLEAN HISTORY REPORT*, 1.8L I4 SOHC 16V i-VTEC, FWD, Beige Cloth. 28/39 City/Highway MPG Odometer is 10781 miles below market average! Located at the all-new Acura of Berlin in the geographical center of CT, a short drive from MA, NY, RI, NJ, and VT. Our guests enjoy an exceptional shopping experience with our courteous, knowledgeable staff. Our accelerated sales process respects your time, and our transparent fair market pricing takes the hassle out of car shopping. Every vehicle is provided with the safety inspection and complimentary history reports. To make your life a little easier, we are even open Sundays for sales and service by appointment. Awards: * 2012 IIHS Top Safety Pick * 2012 KBB.com Brand Image Awards 2016 Kelley Blue Book Brand Image Awards are based on the Brand Watch(tm) study from Kelley Blue Book Market Intelligence. Award calculated among non-luxury shoppers. For more information, visit www.kbb.com. Kelley Blue Book is a registered trademark of Kelley Blue Book Co., Inc.